The Nederlands Fotomuseum has worked over recent months, with financial assistance from the Prince Bernhard Culture Fund / Wertheimer Fund, to digitize the entire Oorthuys archive. Its long-awaited retrospective, This is Cas | Vintage Photography by Cas Oorthuys, will open on 15 September. Previously, only a small part of the Oorthuys archive had been digitized. In view of the high standard of the photographs and the wealth of historic events recorded in them, the museum felt that the whole archive should be accessible to the public. Ruud Visschedijk says, 'Cas Oorthuys is a fantastic photographer and everyone should know his work. He had a major influence on the development of Dutch photography and on the way we in the Netherlands see our country.' Over the last few months, the museum has scanned and digitized the entire set of contact sheets in the archive. All sheets are available online and work can begin on captioning them. In an extraordinary exercise in public participation, the museum invites the general public to help write Captions for Cas. Using the existing Vele Handen platform, it is open to everyone to contribute information on any of the images in the contact sheets. The museum is looking not just for photography lovers, but for a wide variety of experts and people with relevant personal knowledge. Oorthuys travelled widely and photographed a huge range of things. Input will be needed, for example, from experts on traditional costumes, the shipping industry and agriculture in the Netherlands, but also from people familiar with the various other regions and countries that Oorthuys visited. In addition to many countries within Europe, these included Canada, Congo, Indonesia, Egypt, Morocco, Syria and the United States. Thanks to generous assistance from the Prince Bernhard Culture Fund / Wertheimer Fund, the Nederlands Fotomuseum has been able to digitize all 447 albums of contact sheets compiled by Cas Oorthuys. 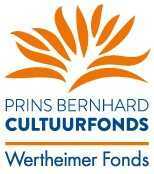 The support of the Prince Bernhard Culture Fund / Wertheimer Fund has greatly helped to ensure public access to this aspect of the Dutch photographic heritage. The long-awaited retrospective, This is Cas | Vintage Photography by Cas Oorthuys, will open at the Nederlands Fotomuseum on 15 September 2018. The exhibition will feature over 300 vintage prints, as well as a digital presentation of the albums of contact sheets. It will be accompanied by a new publication on Cas Oorthuys, issued jointly by French publishing house Editions Xavier Barral and Belgian publishers Kannibaal.